Record Opening weekend Collections for 3 movie !! Aishwarya Dhanush's debut film as director Moondru (3) has taken a very good opening all over Tamilnadu especially Chennai city. The film according to Aishwarya who has the Chennai city rights of the film says that it netted an amazing Rs 1,16,87240 in its first three days (Mar 30, 31 and April 1). In Chennai city's 25 screens, 3 had taken an astonishing 97.8 percent opening, and in the suburbs which falls under Chengalpet territory from nearly 50 screens it has touched almost 95 percent, which truly is phenomenal! The film which carried a big buzz around it opened to mixed opinion and reviews but throughout Tamil Nadu the film has taken a bumper opening. Says Madurai Anbu the film's distributor for Madurai area; " 3 has taken a fantastic opening. It is the highest ever for a Dhanush film". But Dhanush's critics mainly in the industry are asking the question- "Will 3 hold on to its record opening weekend collections? Can the Kolaveri man deliver a super hit?" The producer of 3, Kastoori Raja says: "The distributors and theatre people say they will make profits by the end of the first week. Distributors who brought the film are distributing sweets people like Madurai Anbu says that the movie will get their investment back by Monday"
In Chennai, from Sathyam and Escape the film took 100% opening, the three day net is a whopping Rs 23 lakhs. A spokesperson of Sathyam Cinemas said: "The opening of 3 has been fantastic in our properties. It is one of the best openings in recent times." 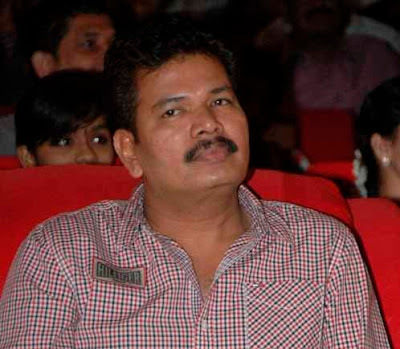 Shankar for his own movie? Director Sankar began his career as the producer from his Muthalvan with Action King Arjun. Since then, his majority films turned out to be hits on media end. His products were Kathal, Imsai Arasan 23m Pulikesi, Veyil, Kalloori and Arai Yen 305l Kadavul, Eeram, Rettachuli and Ananthapurathu veedu. Of these one film which had a director as the major artist made Sankar burn his fingers. As the director happened to be his mentor during his initial days, Sankar had no objection when the remuneration demanded was Rs1 crore. With the films from Kallori failed to cash in profit for Sankar he almost suspended his task for many years. However a story from the fresh director shuffled his tryst and Sankar seems to have made up his mind to resume his production stint. Being impressed with the script and the storyline, Sankar assured the man to do the project at the right time. Will this resumption save Sankar from further fall or lead him to the same old ditch is to be seen. 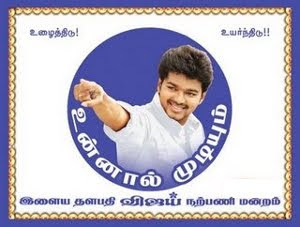 In the meanwhile there is a buzz that Sankar was in a mood to do the Bollywood Delhi Belly in Tamil based on the success he had with Nanban, a remake of 3 Idiots.